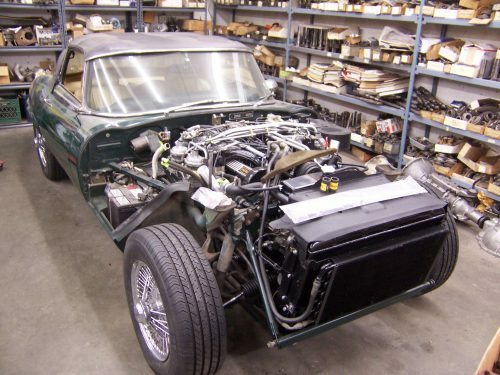 1973 Jaguar V12 E Type recently purchased by a repeat client. Brought to Britsport to remedy several years of deferred maintenance issues associated with prolonged storage. This entry was posted on Saturday, September 29th, 2012 at 2:14 pm	and is filed under Britsport, Current Projects. You can follow any responses to this entry through the RSS 2.0 feed. Both comments and pings are currently closed.